Plainview, NY (March 30, 2019) – On Friday, police say that 39-year-old Min Qiao Lin was driving an Audi on the Long Island Expressway and struck a police cruiser, causing his vehicle to roll over. The accident took place after Lin refused to pull over for an officer in the area and led police on a short pursuit. Lin deliberately struck the officer with his vehicle twice during the pursuit in the early morning hours in the eastbound lanes of the highway. The pursuit began when an officer noticed Lin driving east on the left shoulder and tried to pull him over. The officer had his sirens on but Lin refused to pull over. Lin and his male passenger were taken to a hospital for a variety of injuries but both are expected to recover. The officer was evaluated at the scene and determined to not have been injured. The investigation into the circumstances of the incident continues. When another person participates in negligent acts, accidents which sometimes lead to devastating results to those involved can occur. We understand how difficult it can be to become involved in an accident at the hands of another party, which is why we would like to take a moment to extend our warmest and sincerest thoughts and well wishes to those injured in this accident. 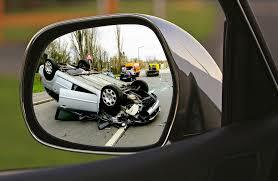 All too often, these accidents are injurious or even fatal. You have rights to compensation if you have been involved in a car accident in New York due to the recklessness of another party. Our accident attorneys at Hach & Rose are fully devoted to helping you through this challenging time in your life when the finances continue to pile up against you. If you have received injuries in a car accident, we want you to know that we understand how quickly these accident cases can spiral out of control as you attempt to balance your finances and get back on your feet. Please contact us for more information on how we can assist you at 212-779-0057.